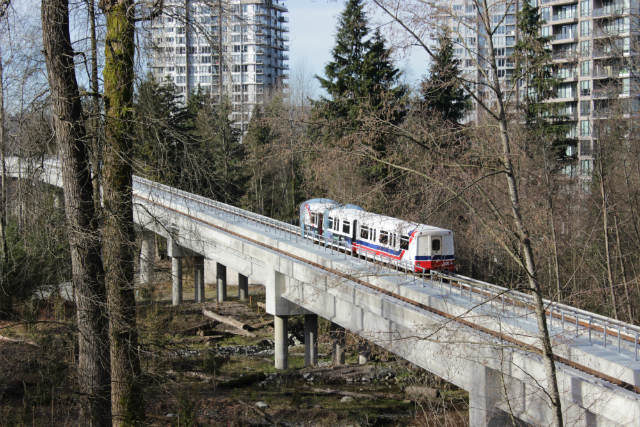 Transit ridership in Metro Vancouver has been consistently breaking records this year. Today is no different as our 400 millionth boarding took place in Metro Vancouver at the tail end of this morning’s rush hour commute! 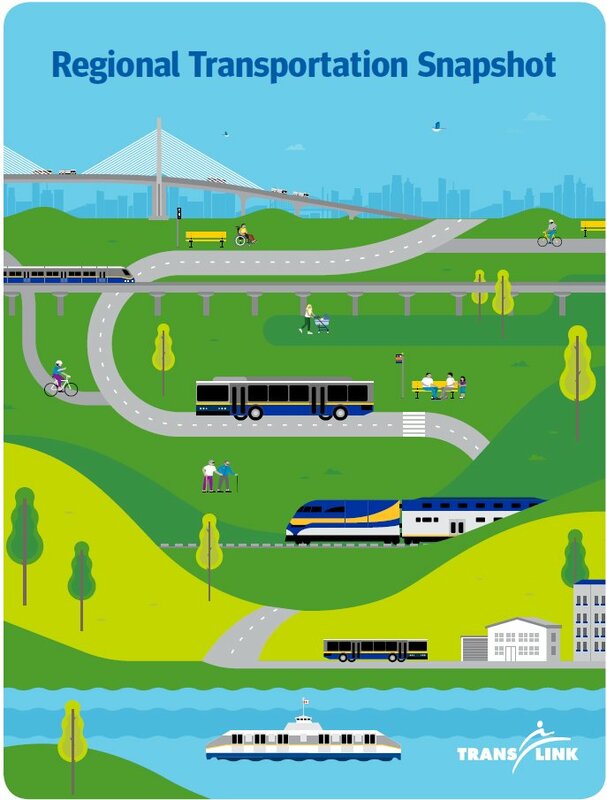 2017 is proving to be a record year for ridership in Metro Vancouver with over 306 million boardings system-wide. Our latest Compass data is in and it shows ridership numbers higher than ever before proving locals and visitors alike are choosing public transit as their mode of transportation. As of the end of September, 2017, monthly Boardings and Journeys are up +5.2% and +5.4% year-over-year, respectively. Average Weekday Boardings are up +6.9% and Average Weekday Journeys are up +7.0% year-over-year. The annual trend of breaking ridership records continues through the first quarter of 2017. A 5.6% increase in individual Boardings, and a 5.1% increase in Journeys (number of start-to-finish trips taken on transit) shows transit ridership growing significantly compared to the same period last year. Contributing to the growth is an increase in the number of average weekday Boardings for all modes with the exception of West Coast Express which saw a slight decrease. 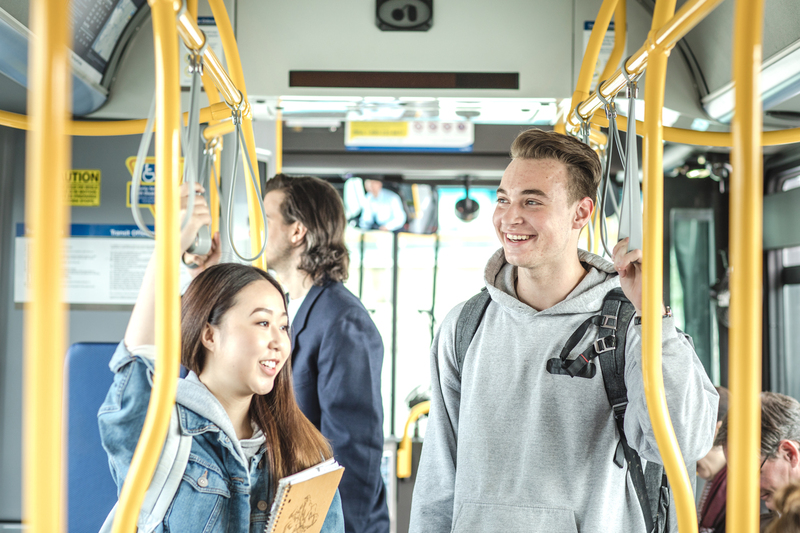 Transit Service Hours – Overall increased service hours in 2017 including the implementation of the Evergreen Extension. Number of working days – There were 2 more working days in Q1 of 2017 over the previous year. Weather – Metro Vancouver saw unseasonably cold and snowy conditions this winter. While the impact of weather on transit is not clear, data shows that commuters often substitute modes from walking/cycling to transit/driving during inclement weather. Fuel Prices – Fuel prices in Q1 of 2017 averaged 15% higher than during the same time last year, and is a likely cause for commuters to park their vehicles and hop on transit. Transit Fare Prices – With no change in transit fares over the past year, transit remains an attractive option. Economic Growth & Activities – Various economic factors have contributed to growing ridership such as highest new housing starts, increased tourism, increased retail sales, and increased population and employment. For more information check out our Accountability Centre. 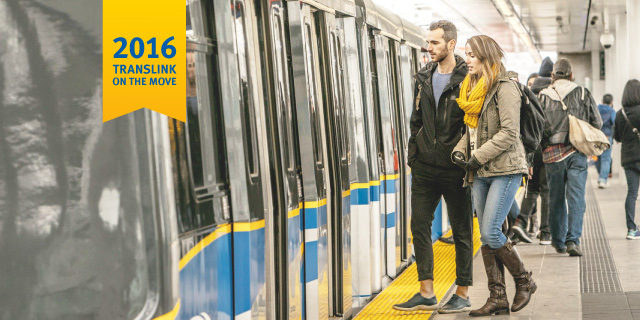 For TransLink on the Move this week, our five week series where we look at some of the many highlights from our 2016 Annual Report, we’re taking a look back on ridership from 2016 where we logged 384.83 million boardings! Our highest ever! Last year saw an increase of 4.5% over 2015’s ridership levels, and we have YOU, our riders to thank for that! Thank you for helping us build and maintain momentum. We are proud of the work we do, and strive to continue improving with a commitment to focus on what matters to our customers. In 2016, we launched our new Accountability Centre, a one-stop-shop in tracking performance of our regional transportation system, as well as customer satisfaction to ensure we’re meeting our goals and satisfying customer needs.